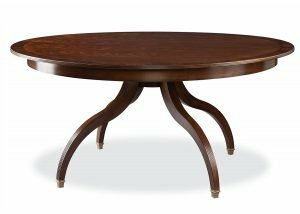 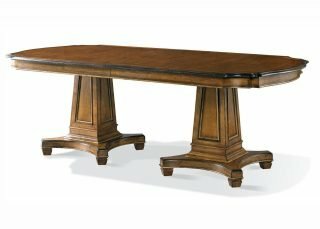 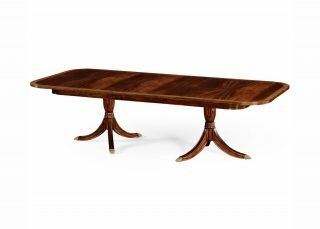 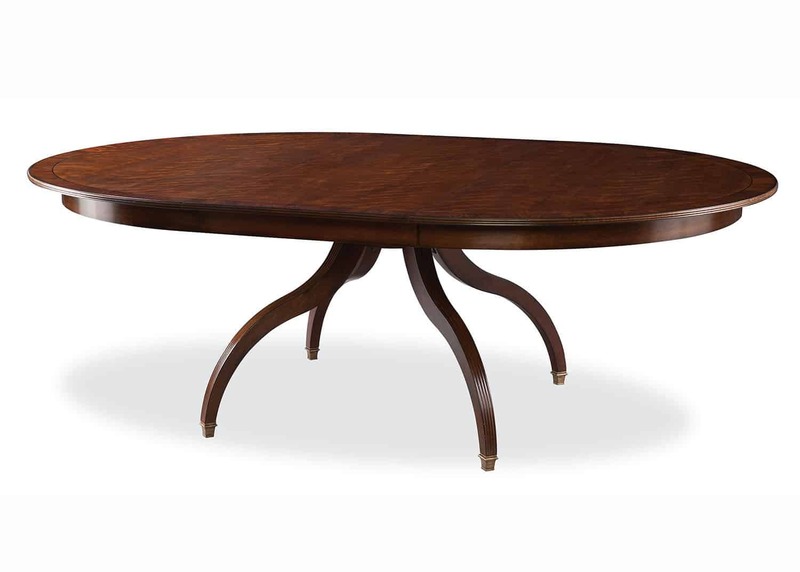 Round cherry finish dining table with inverted sabre leg base and 1-24” leaf. 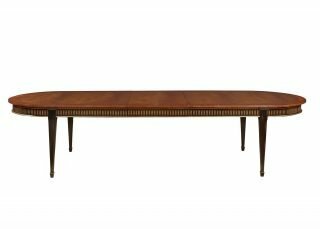 Extends to 88”. 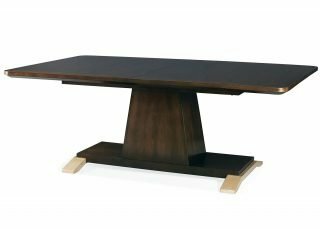 Choice of wood finishes.